Wisconsin is a perfect example of how Michigan could better manage their bear population. During 2016, Wisconsin issued 11,520 bear licenses to hunters in the state and those hunters registered 4,682 bears, according to a report issued by the Wisconsin DNR. Michigan only had 6,896 bear licenses available in 2016, resulting in 1,636 bruins being registered by hunters. Wisconsin hunters harvested almost three times as many bears as Michigan and almost twice as many hunters (1.7x) had the opportunity to hunt bear in Wisconsin than Michigan even though Michigan has more land mass and bear habitat than Wisconsin. Michigan has 56,809 square miles of landmass, 52% of which is forested. The landmass in Wisconsin is 54,158 square miles, 46% of which is forested. Wisconsin hunters achieved the much higher bear harvest during a shorter season, too, during which success averaged 40.6% compared to an average success rate of 34% in Michigan during 2015. 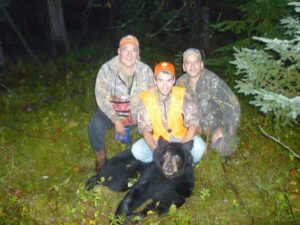 Wisconsin only has a 35-day bear season compared to a 46-day hunt in most of the Upper Peninsula. Bear hunting over bait was legal from September 7 through October 4 in Wisconsin during 2016 and hunting with hounds was legal from September 14 through October 11. This year, bear hunting with hounds will be legal the first week of the season. Like Michigan, Wisconsin is divided into bear management units or zones. Wisconsin’s primary bear range includes 19 counties in the northern part of the state. Those 19 counties are separated into three zones; A, B and D. The remaining two-thirds of the state is Zone C. No bear hunting with hounds is allowed in Zone C, so bear hunting over bait and hunting natural food sources are the primary hunting methods in that zone during the entire 35-day season. In Michigan, most of the Baldwin and all of the Mio bear management units (BMUs) only have one week of bear hunting. The northern three counties (Leelanau, Grand Traverse and Kalkaska) of the Baldwin BMU have had a 16-day season. 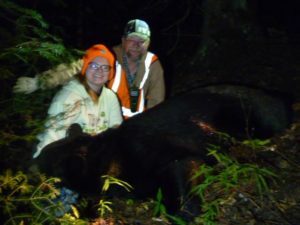 The Lower Peninsula’s Red Oak BMU has two weeks of bear hunting, with the second week in October limited to bow hunting without the use of dogs. Prior to 2012, the Michigan DNR was issuing more bear licenses than Wisconsin. A total of 11,745 licenses were available from the state during 2010 and 2011, resulting in the registration of 2,115 and 2,013 bears respectively. Between 2005 and 2009, the DNR issued from 11,803 to a high of 12,993 bear licenses annually and hunters harvested between 2,026 and 2,641 bruins per year. During those years, bears were better managed because more people had the opportunity to hunt. The end result was fewer nuisance bear complaints. Since 2012, a system was implemented in Michigan to deal with increasing bear damage complaints by allowing license holders to shoot bears before bear season normally begins. As part of the discussion about the number of bear licenses available each year, it’s important to point out that not all hunters who have the opportunity to buy a bear license each year in Michigan do so. Even among the hunters who buy bear licenses, not all of them actually hunt. The bottom line is that far fewer people end up hunting bears each year than the number of licenses available. Even though 12,993 bear licenses were available in Michigan during 2008, for example, only 9,512 license holders actually hunted. During 2010, only 8,108 hunters actually bear hunted in the state even though 11,745 licenses were available. The bear license quota was the same in 2011, but only 7,949 hunters hunted bear that year. The same thing is true during recent years when fewer bear licenses have been available. A total of 6,951 bear licenses were available from the DNR during 2015, but only 4,994 of those who were successful in the drawing actually hunted, which is a difference of 1,957. The bear license quota in 2014 was 7,834, but an estimated 5,500 hunted for a difference of 2,334. The license quota was 7,909 for 2013, but the number of hunters was only 5,627, a difference of 2,282. The more bear licenses are available, the higher the number of licenses that are not used. With these numbers in mind, it’s clear that bear license quotas must be 2,000 to around 3,500 higher than the desired number of bear hunters. Not all hunters who are drawn for bear licenses in Wisconsin buy those licenses either, but a higher percentage of their annual bear licenses are purchased than in Michigan. When Michigan DNR data in 2012 indicated the bear population was declining, to be on the safe side, bear licenses were reduced by more than 30% to 7,991. Since then, the DNR discovered the data that showed the bear population was declining was inaccurate and, in fact, bear numbers in the state were stable to increasing. Instead of returning to previous bear license quotas, however, the DNR has continued to reduce bear licenses, which has allowed the bear population to increase significantly. 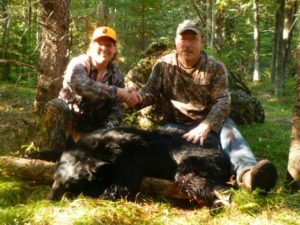 Wisconsin bear hunting is an example of what is possible in Michigan. 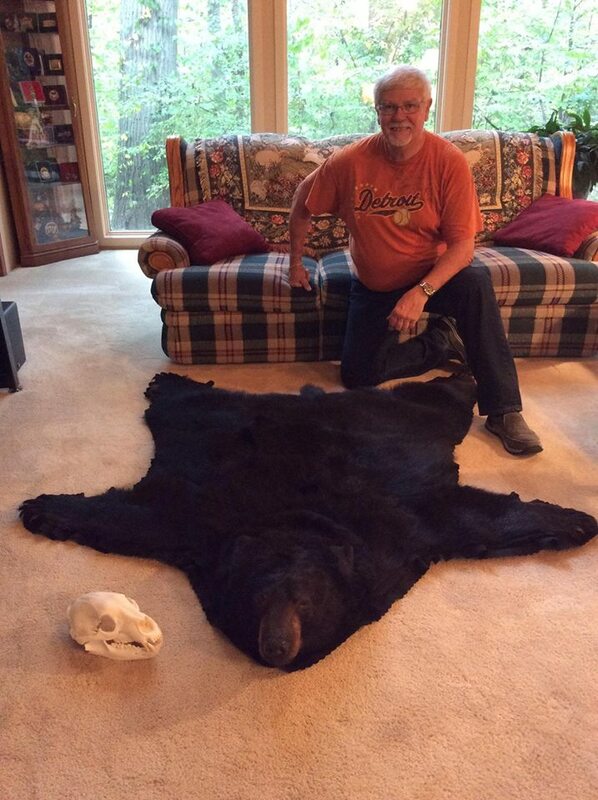 What makes the comparison appropriate is that for many years Wisconsin was underestimating its bear population. “A statewide tetracycline mark-recapture study in 2006 and 2011 resulted in an increased population estimate from previous population estimates for the state,” a Wisconsin DNR report about the 2016 bear harvest states. Prior to 2006, Wisconsin’s bear population was estimated at 13,000. After the new information was gathered, bear numbers were estimated at 26,000. “The most recent data indicates the bear population is currently estimated to be just under 29,000 bears,” the Wisconsin DNR website states. Wisconsin DNR bear specialist David MacFarland said that estimate includes cubs.